In late July, the Barbershop Harmony Society invited me to the first ever Performance Category Judging School in Nashville. As a then-current Presentation Judge, I had been preparing for months – yet many of us had the same questions you do as to what exactly is this Performance thing, and how is it different than Presentation. Watch a Ted Talk discussion by Social Psychologist Dr. Amy Cuddy. It dealt in the involuntary changes in the body based on a person’s body language and how that applied to their performance in social interactions such as a job interview (see below). Write a short essay containing three things that are different between the Performance Category and the Presentation category. The first two assignments were easy. The third was an epic fail. There are documents online at Berbershop.org known as Category Descriptions. I grabbed my trusty version of the Presentation Category that was used up to that point as well as the proposed category description for the Performance Category and contrasted them side by side…. …And I came up sorely wanting. Only two larger differences in the descriptions themselves, but even they were not tectonic shifts. I asked some mentors on the Performance Board of Review and they said not to be concerned as the gist will not be found in the exegesis of Hammurabic code. We are still in the business of ascertaining the entertainment value of a performance, and we have been at times over-valuing what we were used to seeing rather than challenging our performers to remove affectations that get in the way of their communications. It comes down to this: know what you are communicating and tell us your story. Anything that is not serving the story needs to go away. It is extraneous to the message. Whether it be a quartet singer using meaningless stock motion; or same performers merely coasting along on the wave of great singing but not communicating something of themselves; or a chorus director making the story about himself rather than the song…. Movement is not evil. Movement without meaning is. Stillness is not bad. Stillness without meaning is. Many would like a laundry list of things you “can’t do” anymore, but there is no such list. Nor is there a list of things that are looked upon favorably. If gesture or inflection or dynamic change comes from an authentic place of needing to communicate the story, it is to be celebrated. If not, it needs to be examined and changed. Much more will be written and discussed about this, and I am certain this creates more great questions that you all have. Some great additional material is included below to help bring this home. 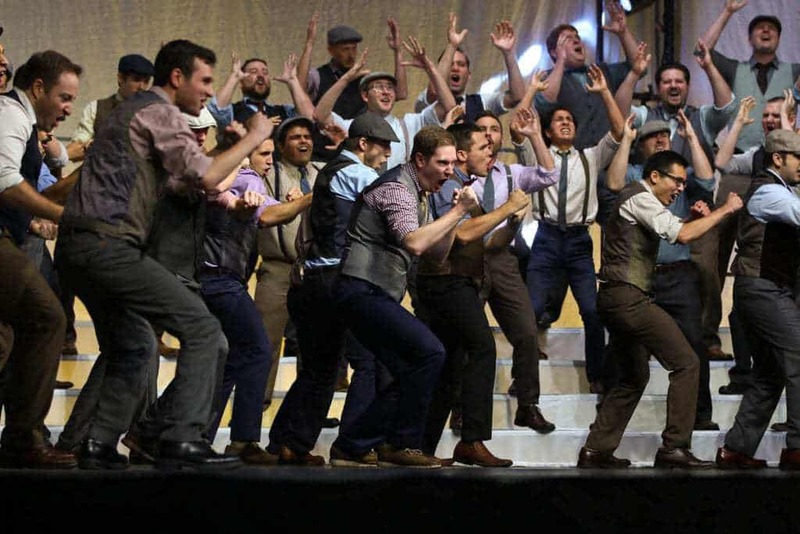 Kevin Keller wrote a great article in the November 2015 Harmonizer and you can see it online here http://www.barbershop.org/performancecategorydiscussion . You may also Google it.